It is a truth universally acknowledged, that a producer in search of a good fortune, will try to adapt Jane Austen’s Pride and Prejudice. But if you need proof, then look up the number of adaptations that this story has inspired! 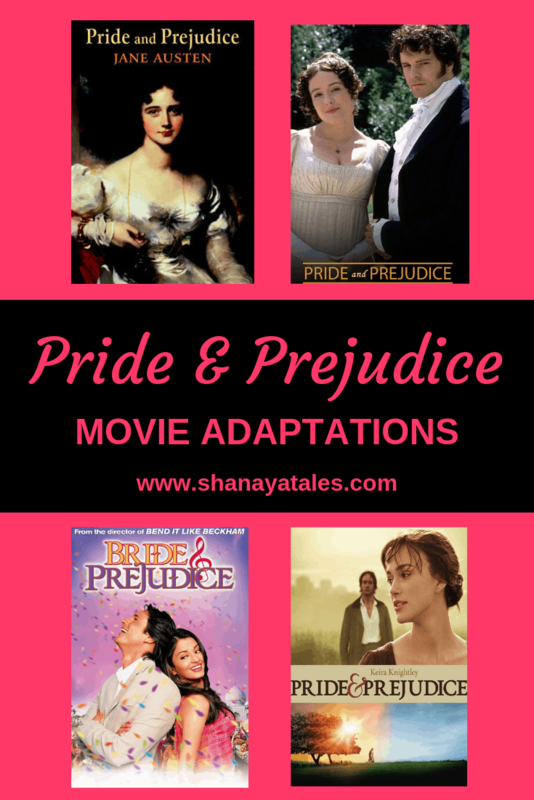 If you’ve read my last post, you know that I loved the book Pride & Prejudice – a little too much maybe. But even that is putting it lightly. Truth be told, I was obsessed! So naturally, I re-read it, several times. 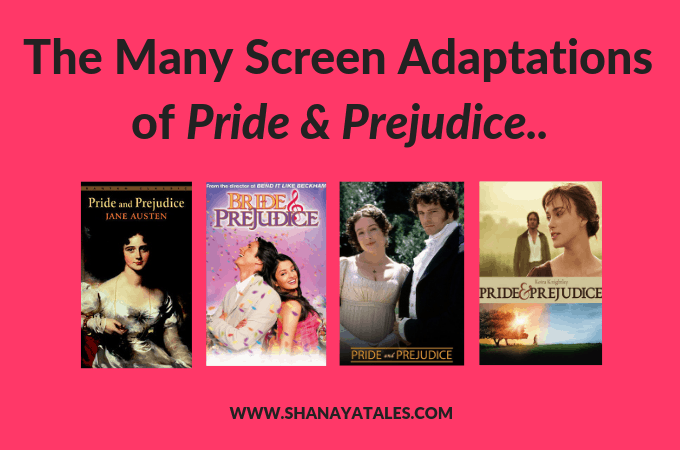 And then I did the next best thing – check out the screen adaptations – and boy were there a few of those! So today I am going to do quick reviews of the 3 adaptations of this classic, that I have seen. I would love to hear your thoughts, if you have seen them too. Or any others that you recommend. Well, outside of Pride and Prejudice and Zombies. Yeah, no. Let’s not go there. I have to say this before anything else – this is NOT a real adaptation. Yes, there are many parallels that can be drawn, but it is, at best – a very watered down version of the classic. 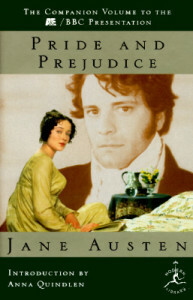 It is more like a drop of Pride and Prejudice in a tub of water – that’s the amount of dilution. Moreover, in this one, there is this whole Indian/Foreigner angle, which essentially turns it into something else altogether. Not a bad plot line at all, but not Pride and Prejudice. And as handsome as he is, Martin Henderson is no Darcy ( to be fair, I need to mention here, that in my mind – there is just ONE Mr. Darcy, so no one else would work anyway, but we will come to that later). As far as the rest of the cast, I believe they got the basic character sketches right, much better than the next adaptation that I am going to mention. Also, peppy Bollywood numbers are a definite improvement over stuffy balls (though there are far too many of them). OVERALL – It is a decent one-time watch, but not a true adaptation. So if you don’t mind a diluted/altered version, as of this writing, this one is available on Netflix in English (streaming plan), and it’s always available on Amazon here – Bride and Prejudice. This is the first thing that pops up on google if you try to search Pride and Prejudice adaptations, and Matthew MacFadyen will come up as Mr. Darcy, which I feel is SO unfortunate, because I really disliked this adaptation in so many ways! The irony here is that while this is more of a true adaptation than the earlier one I mentioned, they have done a horrible job of translating it on screen – they tried to copy the content, but butchered the essence of the story. 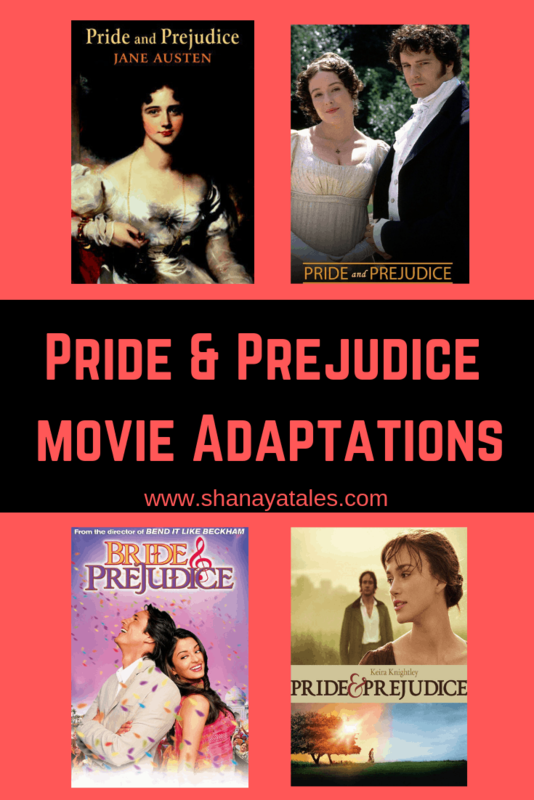 The character sketches are not true to the book – the most annoying alterations were to the lead pair – Lizzy was shown as this overly giggly, yet tomboyish character (though Keira Knightley acted well); and Darcy – ugh! – I am sure that Jane Austen must have turned in her grave seeing Matthew MacFadyen cast as Mr. Darcy. He doesn’t look the part, nor can he act! There was only one thought in my mind – Make it stop. Make. It. Stop. Tell the bad man to go away, someone – please! This is as good a time as any to mention this – there is just ONE Mr. Darcy, and it is Colin Firth, in the very BEST adaptation of the classic – the BBC mini series. This mini series by BBC consisting of 6 episodes of 50ish minutes each, is I believe, the gold standard for book to screen adaptations – not just of this book, but any book. Admittedly it has almost 6 hours of run time, which enables it to faithfully translate the story to screen, include all the plot twists and turns, and also retain Austen’s dialogues. But really, there is so much more to love – perfect casting, great acting, and Colin Firth! Yes, I know, I have mentioned him earlier, but he is worth mentioning again – just look at him! If you haven’t seen this – GO WATCH IT NOW! You can thank me later! Have you guys watched any of these adaptations? Or any others, outside of these three? Do share your thoughts in the comments. I would love to hear from you! Shantala, so glad you watched the Colin Firth version. Isn’t he the best? It seems there is a black and white movie too of P&P. Will check it out. As for Keira Knightly version, I watched it for about half an hour and didn’t like it. I couldn’t take in her giggly self. But, long ago, before even Ramayan was shown on TV (before you were born I think), there was a Doordarshan serial called Trishna which was based on P&P. The setting was Mumbai. It was very good. 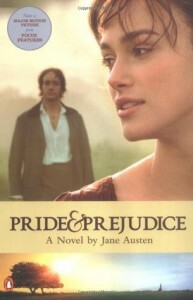 In fact, I saw that serial first and got hooked to Pride and Prejudice. But, sadly, no online thing exists. Oh yes. He is the best. No competition whatsoever! 😀 I think I disliked Matthew MacFadyen all the more, because I had discovered perfection, and then his wooden acting just annoyed me. But I must say this – though the sketch for Lizzy was all wrong, Keira Knightley did her best. I did like her, just not as Lizzy. I also watched the old Hindi serial Trishna based on Pride and Prejudice. It was quite faithful to the original and had a very handsome Mr. Darcy (played by Tarun Dhanrajgir). Elizabeth Bennet was played by Sangeeta Handa and Lydia Bennet was played by Kitu Gidwani. I couldn’t find any video clips of the show but there are some pictures of the Indian Mr Darcy – Tarun Dhanrajgir on the web. I saw the one with Colin Firth and Keira Knightley back to back. Of course, Mr Darcy is Colin Firth, there’s no doubt about it. But I liked Keira in her role – maybe cos I’m a tad partial to her. Helen Fielding intended Bridget Jones to be a modern retelling, and I do agree there are some parallels (for one, the main guy is an arrogant, moody dude named Mark Darcy, also played by Colin Firth in the movie). I didn’t like the book(s) but the movie was fantastic (the first one – the sequel not so much). The sequel was a retelling of another Austen novel. I can’t recollect which one. My favourite romance of all time! Couldn’t read much of your post because I went into a Darcy haze when I read ‘Colin Firth’. Will come back when I recover. How do you expect that you will mention Darcy and I will not keep on staring at the screen? The ultimate dream man. Sigh..! There a few in the Netflix too and I have watched them multiple times.But NOTHING beats reading the book. Right ? I have watched the mini series with mom.. Not regularly, but that made me want to read the book! How many times I have watched Colin Firth express his love for Lizzy!!! It’s beautiful!!! oh the words!! I’ve seen all 3 and enjoyed them all. And like Lata I also watched Trishna on doordarshan and enjoyed that too. Cool post! I have to admit I really liked the version with Keira and Matthew too, though I agree that Lizza came out all wrong. I own that version already. And you are right. Colin Firth, is Mr. Darcy. He does the ‘over proud’ attitude down just right. The other characters are well cast in that version also. Now I want to watch it again when I should be writing. I’m blaming you. Ahh yes! He is the one and only! Ahh, a never ending addiction of Mr. Darcy! I loved the second movie, the best: the one with Keira Knightley. Thanks a lot for sharing your obsession with Pride and Prejudice. Every time I hear this name, my heart goes down the fantastic journey I had while reading this creation of Jane Austen. The book wins any day. BBC and Colin Firth did it best, but I enjoyed the other adaptations you mentioned as well. Matthew MacFadyen was a poor choice, but I found myself slowly falling in love with him. At least when I wasn’t falling asleep. I literally fell asleep in the theater. COMPLETELY agree with the review of all three. I LOVED Firth as Darcy and even dream about him (Okay too much information!) The Ash Rai one, the less said the better. The second one I didn’t watch because I dislike Keira Knightley and by the sound of it, it was nothing great that I missed. I recommend the BBC version to every single person. Every single person. So, I should probably see the original first … right? Am I the only one who has not seen any of these adaptations? OMG!! Oh, I have seen the Tele serial Trishna which used to come on Doordarshan when we were in school. Oh you totally should see the BBC version. Please, please do. You will love it. Am bookmarking this to watch it at some point! Pride & Prejuidice…one of my all time favs….Even I remember Trishna but not very clearly..used to like it that time…I remember few of those characters…though can’t recollect who played Darcy…I only remember that I used to like hi,m more than Lizzy…Would still like to watch it again…other versions I’ve not seen yet…hope to watch them soon. I spluttered my tea and started giggling at your first sentence. Best use of “It is a truth universally acknowledged,” that I’ve seen. Well done!